It's been a while since I have posted in the news tab. My humble apologies for the wait. The winter put me in a much needed hibernation mode that my body needed. Rest is good; especially with everything 2017 was. 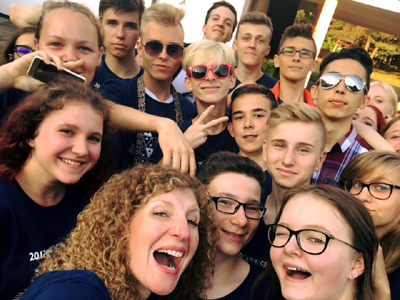 In my last post, I was on my way to Poland to teach for three weeks at an English immersion Fine Arts Camp sponsored by the Kosciuszko Foundation. It was a divine experience and I am incredibly grateful to have had the opportunity to teach a wildly, brilliant group of 68 high school students. With the funds raised by my teaching studio, Syren's Voice, I was able to donate 15 ukuleles, guitar strings, sheet music, and musical "odds and ends" to the camp. The students LOVED the ukuleles and, every now and again, I will receive an email from one of them saying that they now have a ukulele of their own and they are strumming their heart out! This makes me smile from the insides out! Oh, the joy and power of music! After Poland, I returned to the states and began recording our forthcoming album Sinners and Angels. We rented a house in Ocean Shores, Washington and did a live album. Over three days we recorded all the rowdy pub style songs that folks have been asking us to record. Ron took the helm and recorded and mixed the album. 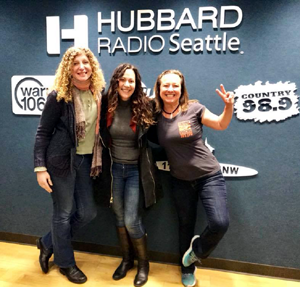 Just as soon as we hung up our headphones, we made our second appearance at the Seattle Acoustic Festival in Capital Hill. What a great time! In September, in between the remaining Festival gigs and summertime shows, we finished the over dubs and final recording edits for Sinners and Angels. We then packed up and headed to Chicago to play the infamous Elbo Room during Chicago's heat wave. What a broiler! The venue was at least 95 degrees F inside and it was the hottest inside show we have played to date. Think hot yoga SeaStar. 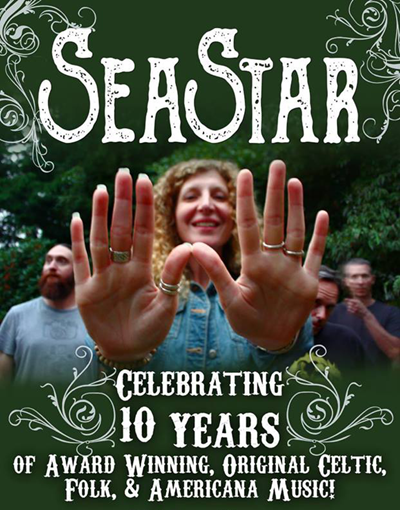 In October, SeaStar celebrated it's 10 year anniversary of being a band! Wow! How time flies! 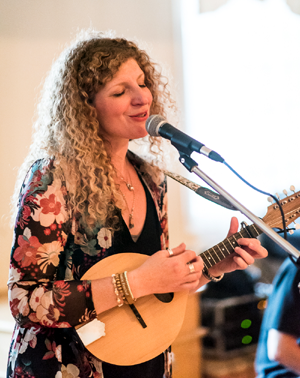 We had an anniversary show at Soul Food Coffee House in Redmond, WA and brought SeaStar alumni Kelly Blanchard and Geli Wurzner to the stage to perform with us. It was such a beautiful and emotional night for me. I have been in such excellent company over these last 10 years. My heart was overflowing with love and gratitude! Three days later, I flew to Scotland to be a competitor in the Royal National Mod, Scotland's premier Gaelic music festival. I traveled with Seattle's Gaelic choir, Seirm. 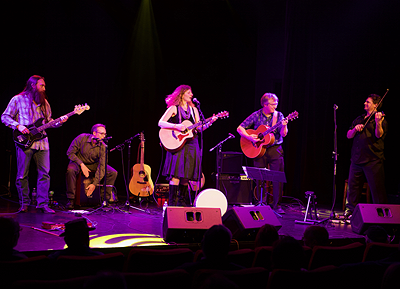 It was a lovely experience and we were given good praise on our Gaelic pronunciation. Whoo Hoo! 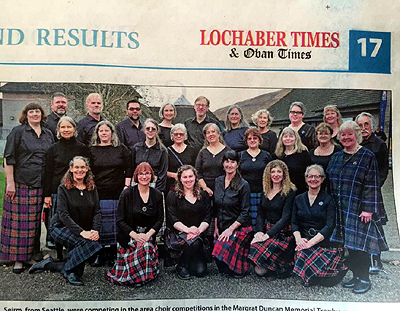 While we didn't obtain an award, we felt we had been very successful... especially when a an older, native Gaelic speaker came up to us and said we had a fine grasp of the language. Kudos to our amazing teachers! I returned stateside in November after spending a bit more time in bonnie Scotland promoting SeaStar. We had several gigs and then received word that Ron was retiring from SeaStar and, his long time band, Wynne C Blue and Her Troublefakers. We were most shocked to say the least but understood big life decisions. We wish Ron well in his retirement. I awoke on January 1, 2018 with a mere squeak for a voice. I had come down with a cold during the last week of December and it wasn't letting up. I was very happy that I did have a voice for the NYE gig. Small wonders. Big thanks! This "mouse-mode" was indeed a powerful thing. I started planning. I knew that I had much to do as 2018 was definitely going to be a bit of work with a new album on the way. Plus, with Ron gone, I needed to find another player quick as our show at the Auburn Ave Theater was around the corner. We had this date on the books for nearly a year. Thankfully, we have many talented, musical friends. Joel Gamble, accomplished 7-string violin player, and John Anderson, gifted gypsy jazz guitarist, came to our rescue. The show was fabulous and, while I was with the flu at the time, I tried my best to not let it get me down. Oh, the power of music can work wonders. St. Paddy's Day was the next set of gigs to tackle. 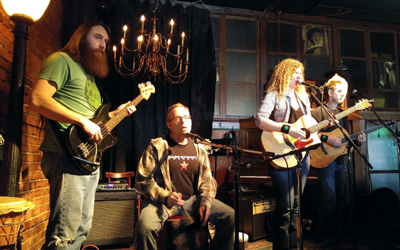 With the help of Dave Tieman, talented guitarist from the Northwest power duo the Gingers Ups, we shamROCKed our way through shows at Seattle's Conor Byrne and O'Malleys in Tacoma. It was a long, fierce day and we had a blast. Where is this album, you ask? Well, it's just about finished. We had a bit of trouble dialing in some things during the mastering. Pat Sample, our talented friend over at Paradise Sound Recording in Index, Washington, is dialing in everything we need. We also went back and added some fresh harmonies and drums flourishes on a track. Oh, recording is a true dance. Sometimes it required a few extra moves to get it right. Sinners and Angels will be set to see the world soo, sooo soon! That's it for now. Stay tuned!! Big love, hugs, and gratitude! 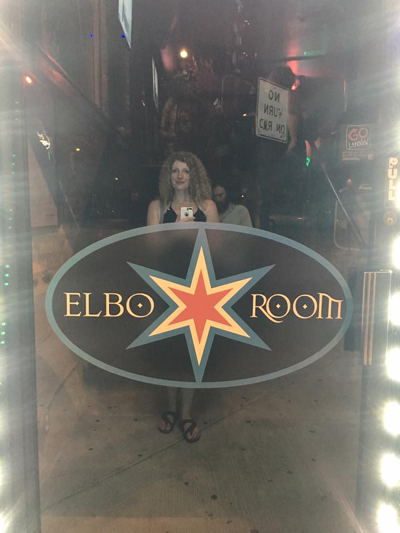 Outside the Elbo Room in Chicago before we hit the stage! SeaStar is 10 years old! 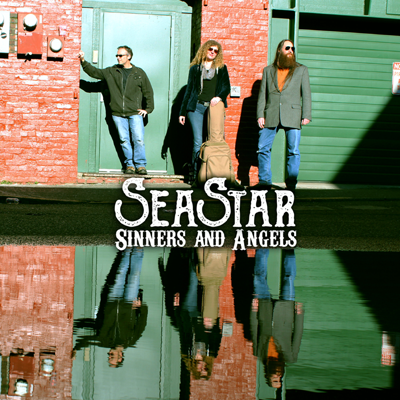 Coming Soon... our new record, Sinners and Angels!
. all content is copyright © 2003-18 jetbutterfly .